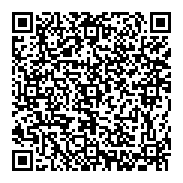 Scan this QR-Code with your mobile to add Scoops to your address book! Great place to eat. Love the food and the surrounding is also good. Vegan options all over the place and I had an amazing amazing chocolate and oreo cookie ice cream shake which was mind-blowing. They have tasters and alway shave a vegan option, I believe made of soy. An absolute must visit for anyone in the area!